If you’ve been wondering when you should take the LSAT, you’re not alone. There are four possible choices each year, and each one has its pros and cons. Just remember this one thing: don’t stress out too much about your test date. The LSAT is going to be just as hard, regardless of when you take it. Here are a few things you’ll want to look at before you decide on a test date. Do you want to hedge, and have time to take the exam twice? If this is something you’re considering, then you definitely shouldn’t wait to take the February exam. There are a lot of law schools out there that have deadlines for applications at the very beginning of March. Since that’s when your results will come back, you won’t have much time to pick out the law schools you want to apply to before you get hit with the application deadline. If you really want to know your score, and you’re really worried about needing to take the test twice, then you might also want to rule out taking the test in December. If you take the exam in December and you don’t get the score you want, you’ll still have to take the LSAT in February. Then you have the same problem with getting your results back right before the application deadlines hit. The other issue here is that you won’t have very much time after you get your December test results to study for the February exam. For those reasons, you’ll want to consider taking the other exams. With both the June and the September exams, you’ll give yourself ample time to study for and take another exam. With June, you’ll have the most time, but the September exam gives students plenty of time as well. This will also have a big effect on the date you decide to take the exam. If you want to have the maximum amount of time to study for the LSAT, you’ll want to take the February exam. However, you can still have plenty of time to study for the exam with the other dates as well. You just need to know how much time you’ll need. Once you figure that out, you can plan accordingly. Another thing you’ll want to consider is whether or not you place a premium on knowing which questions you answered correctly, and which ones you didn’t. If you don’t care, then taking the Feburary exam won’t matter all that much to you. You see, the February exam is unpublished. That means the only bit of information you’ll get back after your exam is your score. You won’t find out anything else. As you can see, there are a few things to consider when you are deciding on your test date. 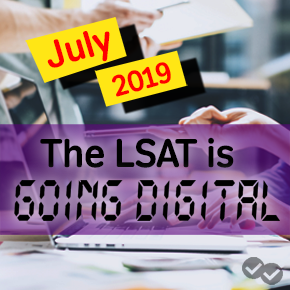 Just keep this in mind and you should be just fine: don’t put off that decision until the last minute, and give yourself plenty of time to get ready for the LSAT. If you can do that, you’ll have two less things to stress about come test day. 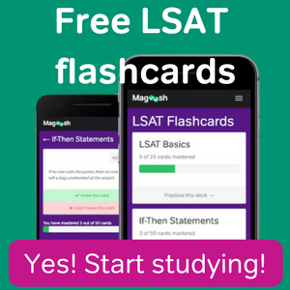 Which LSAT Test Date is Best for Me?